Today, 3 out of 4 video conferences are multi-person oriented.1 And by 2015, 66 million users will be video-enabled.2 Clearly small groups need a better option than huddling around PC webcams or begging for time on overbooked conference room systems. 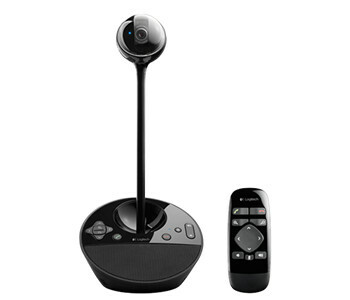 The Logitech ConferenceCam combines HD video and superior audio in a simple, amazingly affordable package. So small groups can run their own video conferences anywhere in the office. Go ahead, set your meetings free. What makes the ConferenceCam Unique?